Hosted by Frame 88 and Aboriginal artist collective Maruku, (Maru meaning ‘black’ and ku ‘belonging to’), ‘Belonging to Black’ and is now in its fourth decade as they operate an 100% Aboriginal owned not-for- profit arts and craft organisation based out of Mutitjulu community next to Uluru. 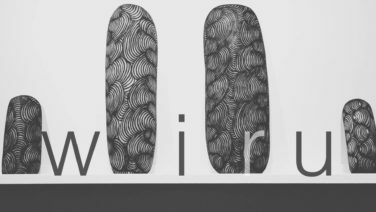 Wiru is a group show, exhibiting works that combine totemic sculptures, wood objects, tools and weapons, walka boards, carvings and paintings. 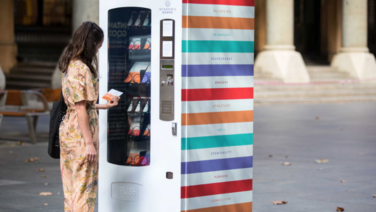 Intangible Goods is an installation artwork taking the form of a vending machine. It’s filled with an experimental line of conveniently packaged consumables for the mind. Developed in collaboration with mental health professionals and presented by Art & About Sydney, each good is designed to momentarily satisfy a need higher up on Maslow’s hierarchy than, say, chocolate and crinkle-cut chips. In the 1940s, Mao and his revolutionaries set out to awaken the Chinese “sleeping lion” and build a powerful new nation. Seventy years on, the future has arrived—but is it the socialist utopia they dreamed of? 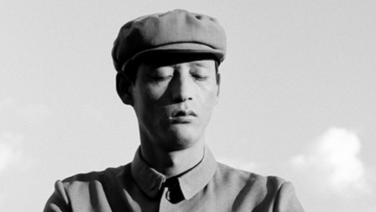 In ‘The Sleeper Awakes’, some of China’s most original contemporary artists reflect on a society where unprecedented freedom, ambition and optimism coexist uneasily with anxiety, isolation and ubiquitous state surveillance. The Biennale of Sydney presents an immersive vocal composition by British artist and musician Oliver Beer. Inviting an intimate audience to experience a fleeting revelation of architecture via sound, through a live vocal performance of four singers in a backstage stairwell of the Opera House. 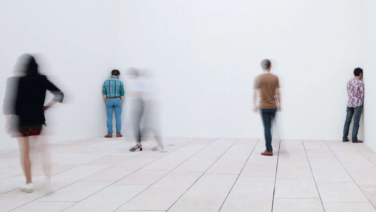 His series of works are based on an acoustic phenomenon: that every architectural space has its own unchanging resonant notes, determined by its dimensions, which can be stimulated using the unamplified human voice. Drop in to the Japan Foundation and try out your calligraphy abilities with their magic canvas board! You can write, paint, draw and even leave secret codes as your masterpiece will vanish in 10 minutes. Flip the board around and try again next to a cosy tatami space with a mini library on Japanese calligraphy and ink painting to fire your inspiration. 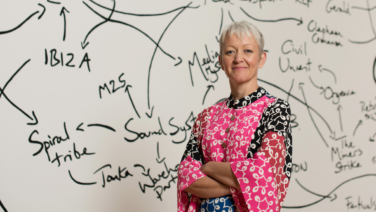 As Tate Director, Dr Maria Balshaw is in Australia to unveil the 3rd round of acquisitions for the MCA and Tate Collections, this special event will hear her reflections on the role of the museum in our contemporary context, and include a Q&A with MCA Director Elizabeth Ann Macgregor OBE. 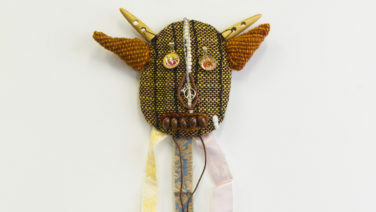 Artist Emily Galicek has curated this month’s Kudos Gallery opening, featuring both local and international artists. The Joke is On You features: Kieran Bryant, Theresa Chromati (USA), Beth Dillon, Fresh and Fruity (NZ), Emily Galicek, Matthew Harris, Ben Thomas Jones, Shahmen Suku, Natalie Synnott and Alana Wesley. 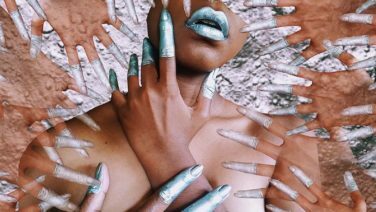 There’s nothing like a mid-week hit of self-love and a celebration of all things Wom*n. Marisa Mu, Simone Taylor and featured artists from Apostrophe Magazine present work that aims to inspire, empower, acknowledge and evoke a feel-good self awareness for our everyday Her-o. This month, Firstdraft’s exhibition opening includes work from: Nadia Hernández, Dalton Stewart, Quishile Charan and Chun Yin Rainbow Chan. 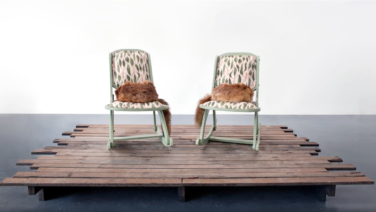 Though each in its own way is exploring narrative and personal histories of national identity, one to watch is Dalton Stewart’s work, developed over a studio residency at Firstdraft. 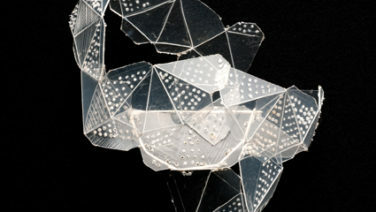 Calling itself “a handshake to the 21st Sydney Biennale”, the Handshake Project sees 13 NZ artist jewellers deliver connection, dialogue and insight to the mix as they respond to the theme ‘Superposition: Art of Equilibrium and Engagement’. 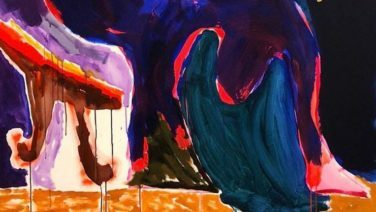 Unisson Disability in partnership with Grace Cossington Smith Gallery and Abbotsleigh School are hosting an exhibition consisting of artworks by artists who attend Unisson Disability Art Studios. 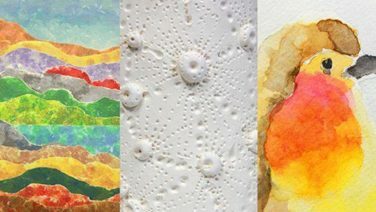 The exhibition showcases artworks in paint, paper and ceramics which are inspired by the natural environment and reflect the diversity of creative expression, with each artist portraying a unique interpretation of their subject. Explore an exhibition where every piece is part of a puzzle to solve. 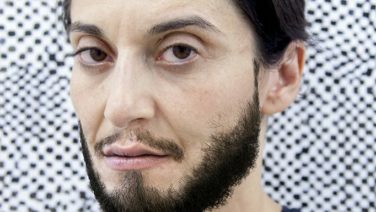 Cherine Fahd’s body of self-portraits sees her merge her own identity with those of others, and in doing so she reveals, disguises, universalises, and empathises. 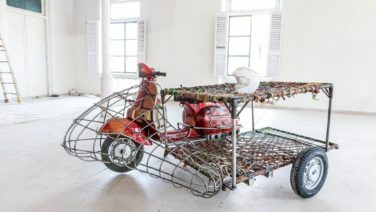 The Australian Design Centre opens three new exhibitions, including ‘Porosity Kabari’ which features work made from materials and craftsmanship sourced solely from the ‘Chor Bazaar’ (thieves market) and ‘Kabari Bazaars’ (junk markets) in Mumbai, India. Also opening – brand new work by designers Elbowrkshp, Tom Fereday, Benja Harney, Tom Skeehan, Andrew Simpson, Harriet Watts and Charles Wilson. The Howling Girls is a new chamber opera featuring renowned soprano Jane Sheldon and a chorus of teenage voices accompanied by Aztec death whistles. 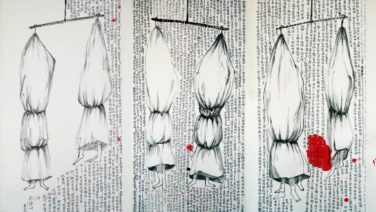 Inspired by a post 9/11 anecdote of five young women unable to swallow or speak, the work has inspired a spectacle of fragmented bodies and voices. The phenomenon of pareidolia refers to the human tendency to perceive connection or make meaning from ambiguous or random stimuli, like when you see a face in a cloud or a pattern within nature. Drawing on the Biennale’s theme of ‘Superposition’, ‘Pareidolia’ also plays with the concept of perception and perspective as Geng Xue and Sun Ziyao’s duo exhibition, both consciously and subconsciously, encourages its audience to explore and examine the possible perspective and meanings within their artworks. As part of the 2018 Head On Photo Festival, Shoufay Derz opens a new exhibition of work focused on landscape, language, and ‘home’ at the Manly Art Gallery and Museum. 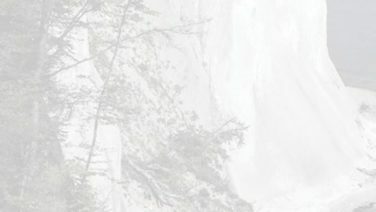 Exploring eroded landscapes in Taiwan, China, Germany and USA, the artist aims to make us reflect upon the nature of creativity, cultural diversity and our place in the world. Bandana Tewari is one of the most influential fashion journalists in India, as Vogue India’s ‘Editor at Large’. 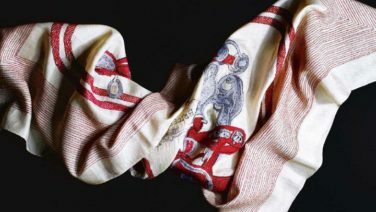 In conversation with Caroline Baum, they will discuss collaborations between Indian traditional artisans and European luxury brands, the flourishing of talent among a new generation of designers, the ethics of fashion manufacture and more. WHERE: Sherman Centre for Culture and Ideas (SCCI), Paddington. 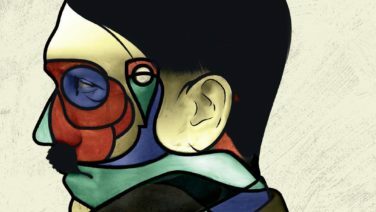 As part of Dendy’s ‘Art On Screen’ series – this immersive new documentary reveals the Nazi’s complicated relationship with classical and modern art, displaying an incredible number of masterpieces by Botticelli, Klee, Matisse, Monet, Chagall, Renoir and Gaugin amongst others, intertwined with human stories from the most infamous period of the twentieth century. Every year, Performance Space’s Queer Development Program invites some of Australia’s most exciting emerging queer artists to dive deep into a week of development, experimentation and making. Led by experienced facilitators fluent in queer performance making, the program builds links between generations of artists from diverse backgrounds and artforms. And Queer Nu Werk is where it is shared with you! Featuring talks, panels and presentations – visit SCCI to listen to those in the know, as chosen by Clare Press – the Sustainability Editor-at-Large of Vogue Australia. 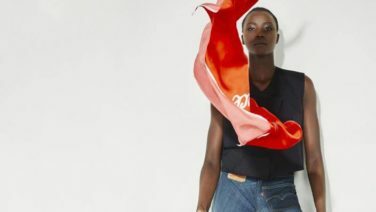 Including designer Bianca Spender and Paul Castro of the label Anassment, hear from those at the cutting edge of re-conceptualizing fashion in a way where it may contribute to social good. This day of events invites you to imagine what a more responsible fashion future might look like. 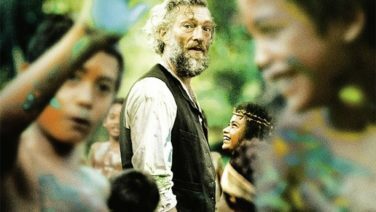 As part of the Alliance Francaise Film Festival, check out the work of César Award-nominated director Edouard Deluc who has teamed up with the incomparable Vincent Cassel to play the character of Gauguin. Why are we interested in this film? Because Cassel takes on the colossal task of playing renowned French post-Impressionist Paul Gauguin during his self-imposed exile in Polynesia in 1891; a period that coincided with the creation of some of the artist’s most lauded works. As part of their Autumn Exhibition Suite, come and spend an afternoon at this special opening event and enter a sensory world not limited to the eyes. Reach out and gently, carefully, delicately, make contact: this is a world of sense and sensory satisfaction… The artist is reaching out through their work and the audience is reaching in. The result is tactile sensation. 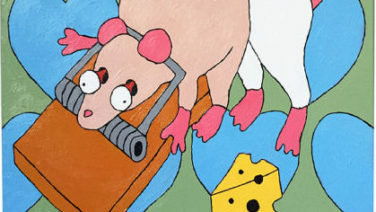 Featuring work from Hiromi Tango, Emily Parsons-Lord and Pip & Pop.